If you don&apos;t want to stop Heartbeat completely, you can simply limit the execution frequency. You can do this by using a plugin called Heartbeat Control. Remember to press the Save Changes button in order to confirm your modification. 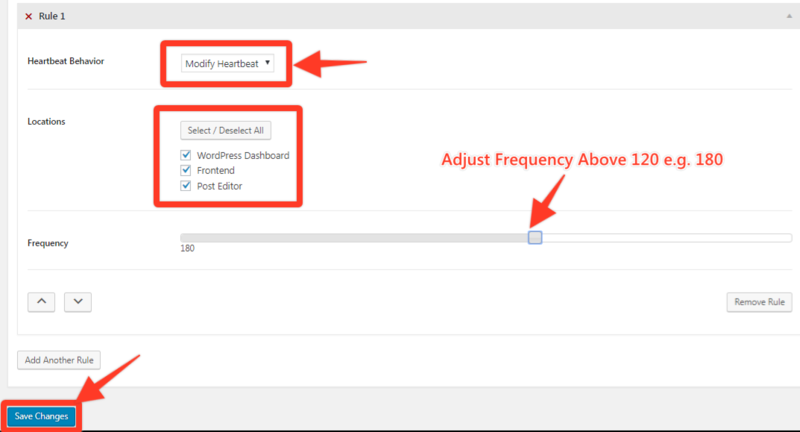 We have another tutorial which shows you how to disable Heartbeat completely but it involves the use of coding. If you&apos;re well verse with coding, you may apply that method to disable Heartbeat. 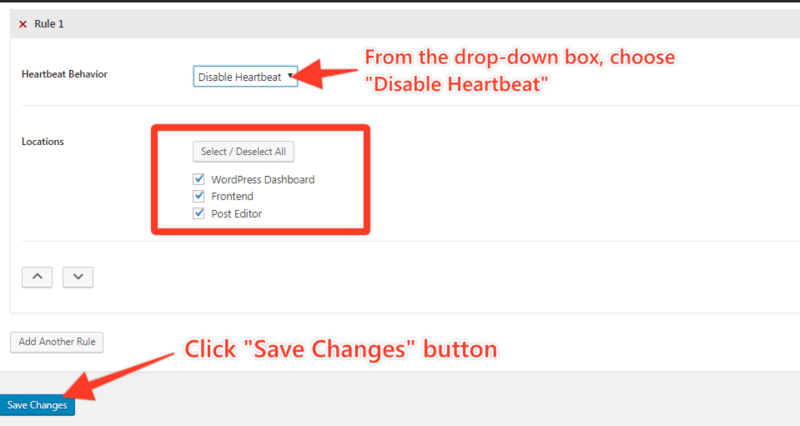 Alternatively, you may disable Heartbeat completely using the Heartbeat Control plugin instead. Here is the screenshot of the full settings.